Commencing in late 2016, Sykes & Son Limited completed work on a major refurbishment of the Victoria and Albert Museum’s Cast Court Gallery 46A in November 2017. The Cast Court Galleries feature over 60 of the V&A’s finest 19th century productions of important Italian Renaissance monuments. Plaster cast reproductions reached the height of popularity in the mid to late 19th century when few people could afford to travel abroad. The V&A Museum was at the forefront of this trend, enabling visitors to admire faithful reproductions of important European monuments and works of art. Today, the Cast Court Galleries are also the only public galleries in the Museum which display the same collection as when they were first opened. 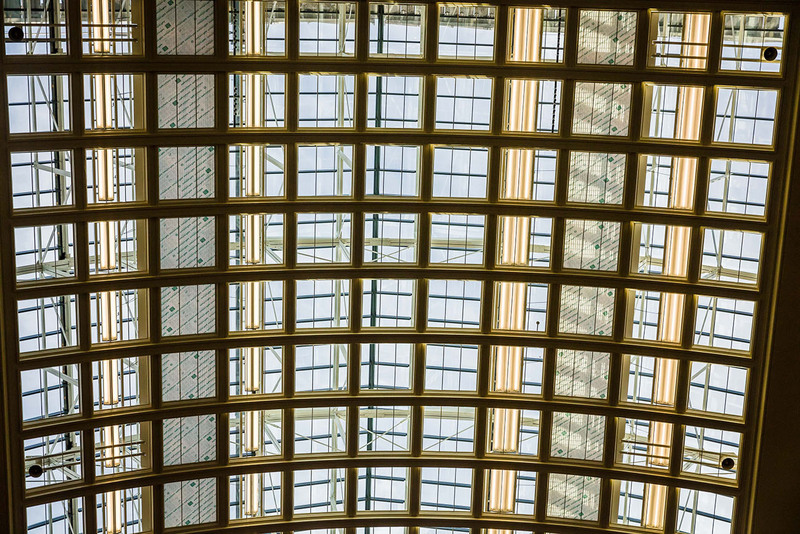 Sykes were awarded the third phase of a larger programme of works to refresh the iconic Cast Court Galleries. Phase three comprised the North European side known as Gallery 46A. 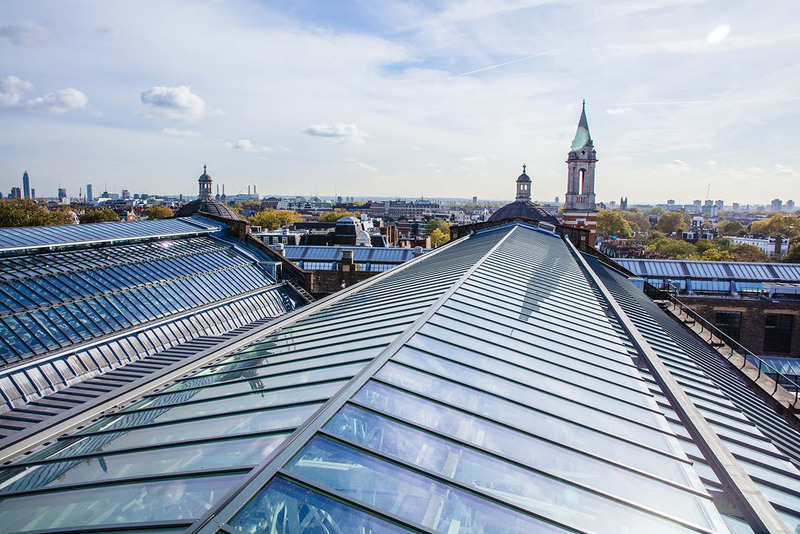 The project predominantly involved the replacement of the glass roof and associated external works, together with internal redecoration works to reinstate the colours and finish of the original 19th century decorative scheme. Over 8 metric tonnes of scaffolding was erected with nearly 4000 boards for access and crash decks. 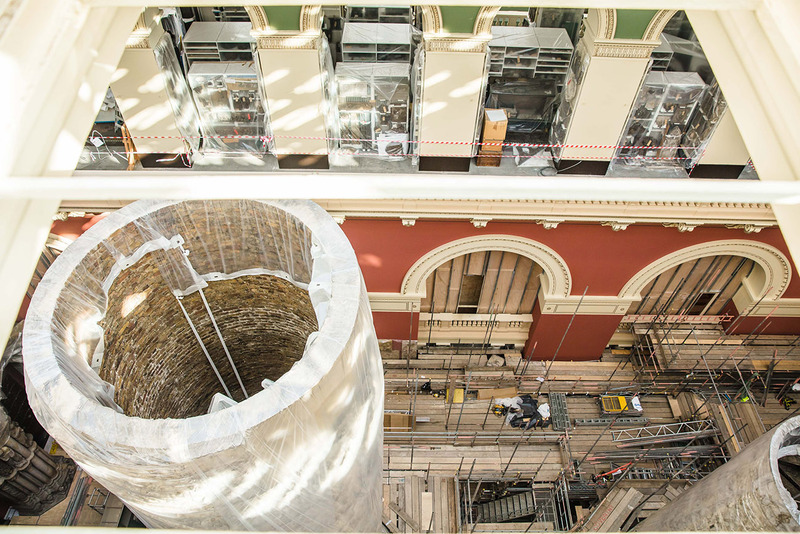 The scaffolding allowed the V&A to carry out conservation and repairs to most of the casts which had not been accessible for decades including the cast of Trajan’s Column. 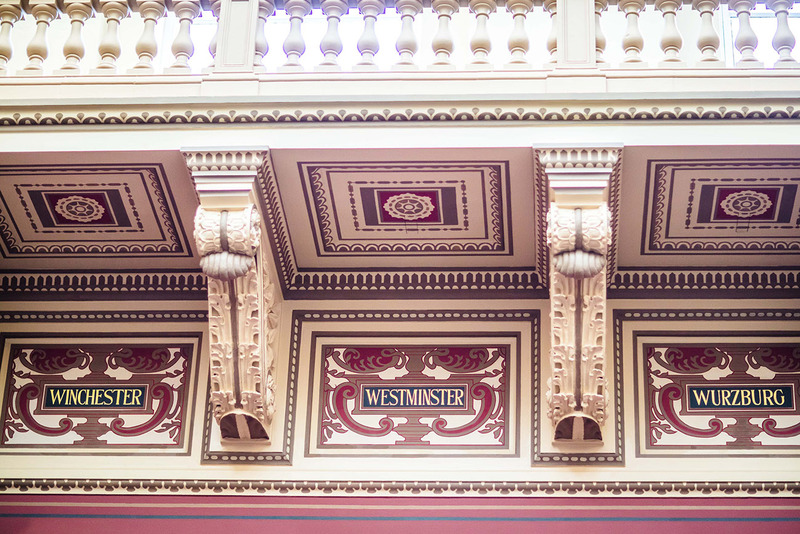 The scaffold was also used by our in-house team of specialist decorators who refreshed walls, columns and arches which include some very intricate décor. Sykes have been working at the Museum for at least 85 years, carrying out a wide range of projects and small works during this time.